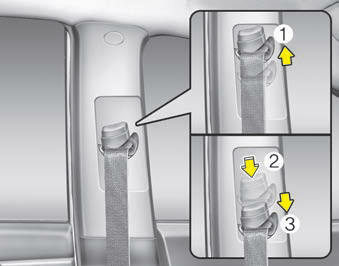 Pre-tensioner seat belt Your vehicle is equipped with driver's and front passenger's pre-tensioner seat belts. 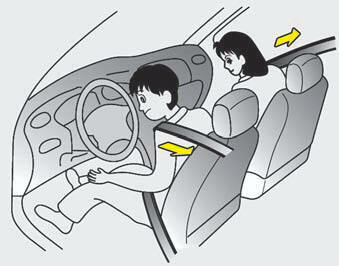 The purpose of the pre-tensioner is to make sure that the seat belts fit tightly against the occupant's body in certain frontal collisions. 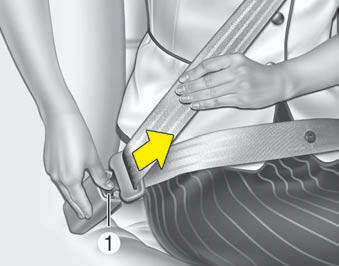 The pre-tensioner seat belts may be activated in crashes where the frontal collision is severe enough. 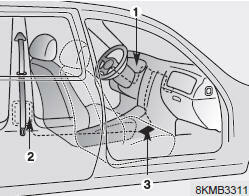 If the system senses excessive seat belt tension on the driver or passenger's seat belt when the pre-tensioner activates, the load limiter inside the pre-tensioner will release some of the pressure on the affected seat belt (if equipped). 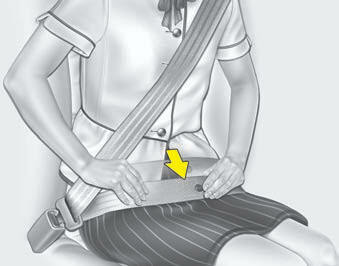 Small children are best protected from injury in an accident when properly restrained in the rear seat by a child restraint system that meets the requirements of the safety standards of your country. Before buying any child restraint system, make sure that it has a label certifying that it meets the safety standards of your country. The restraint must be appropriate for your child's height and weight. 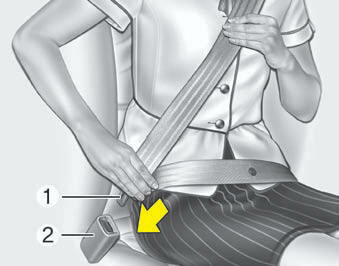 Check the label on the child restraint for this information.